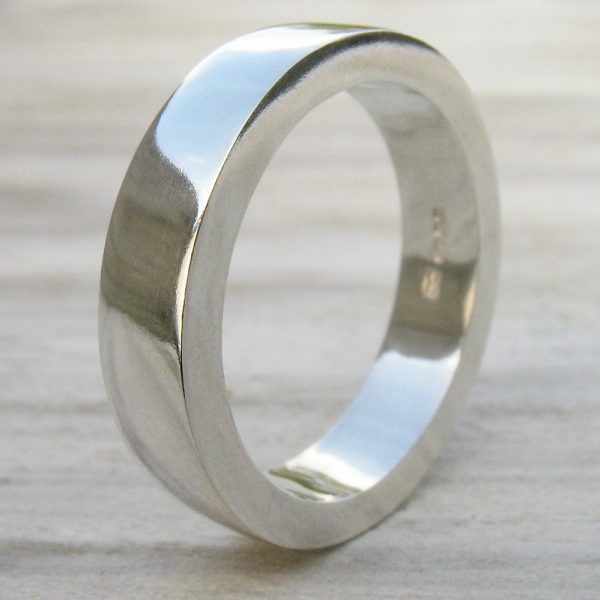 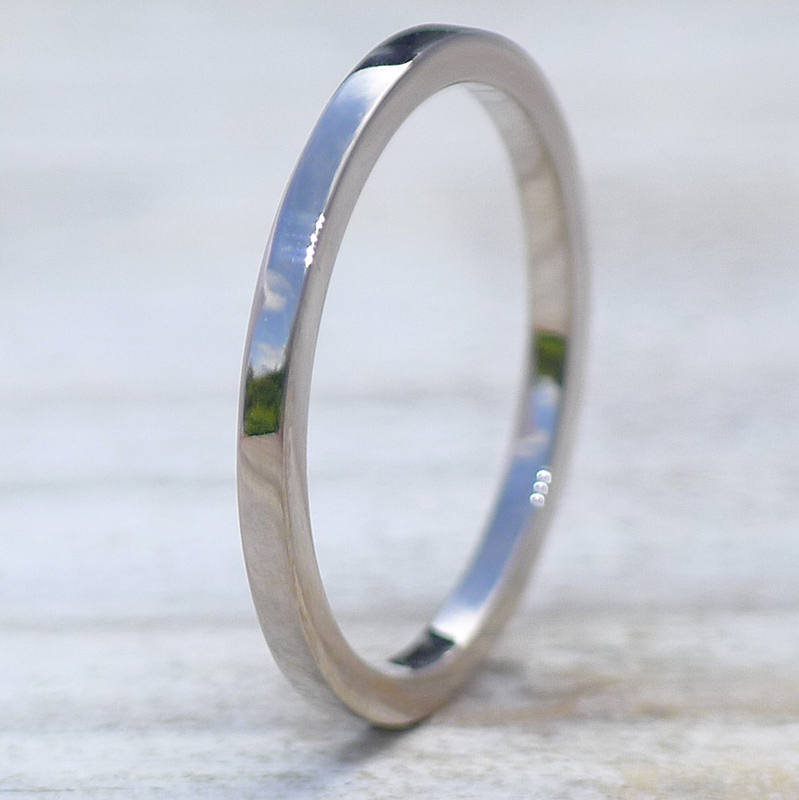 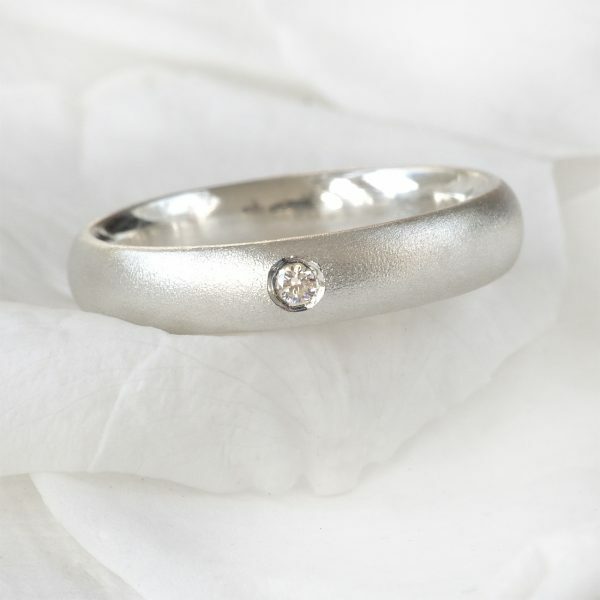 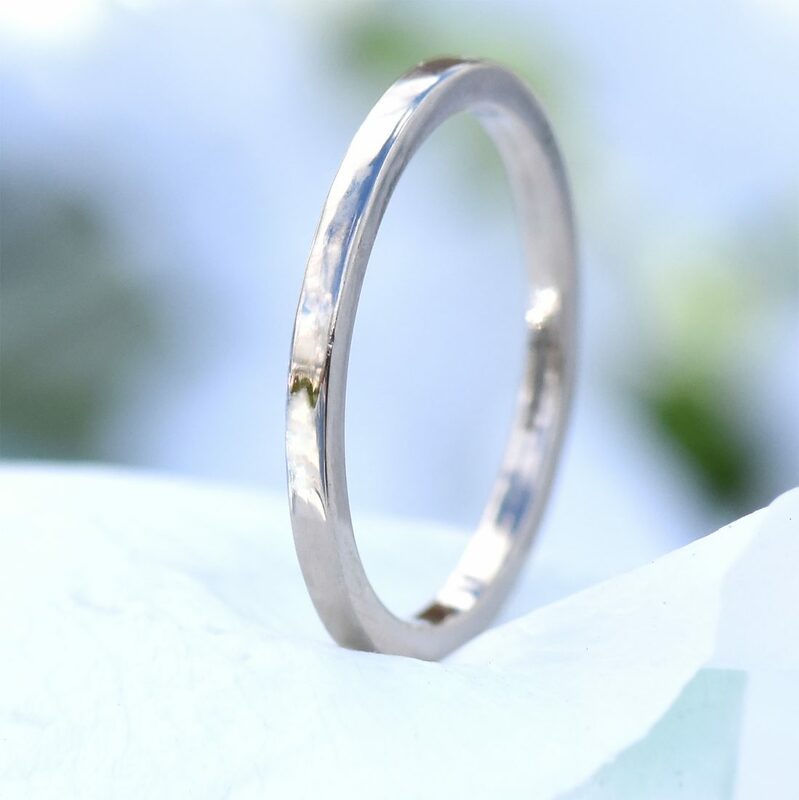 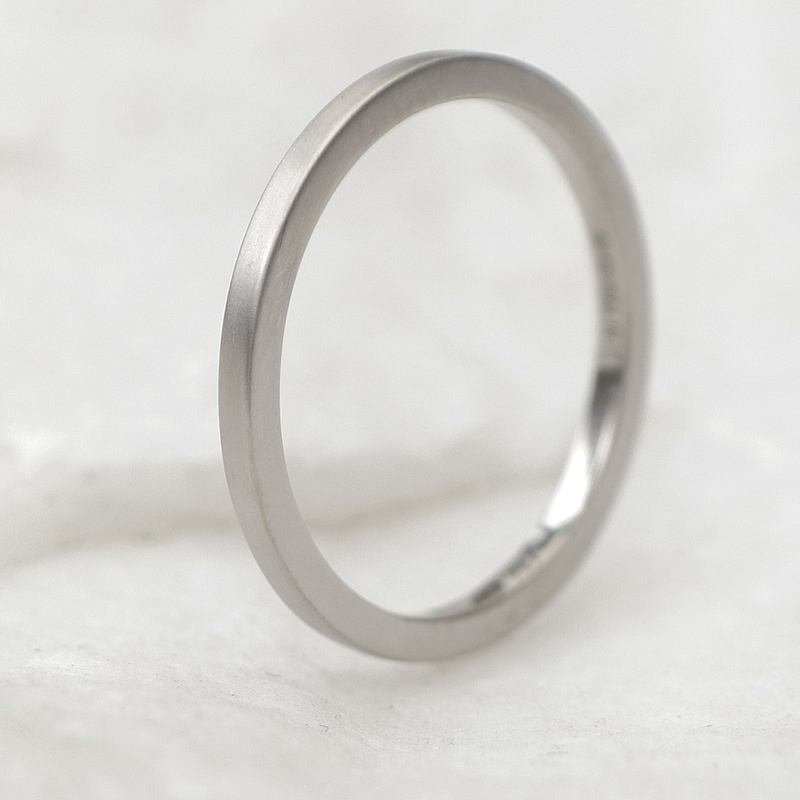 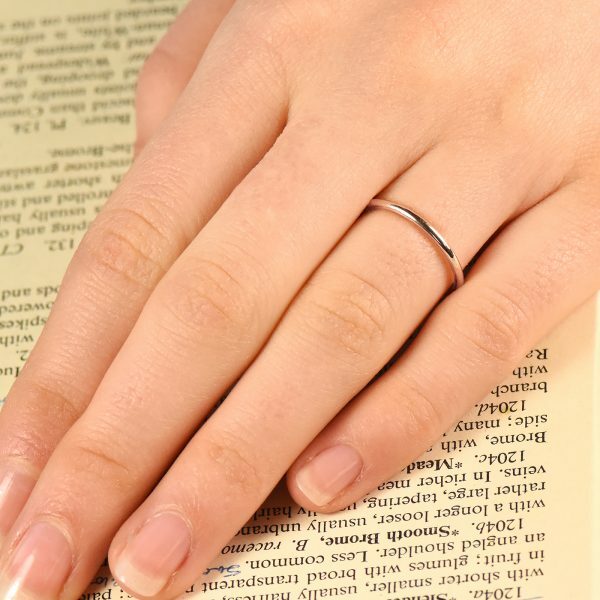 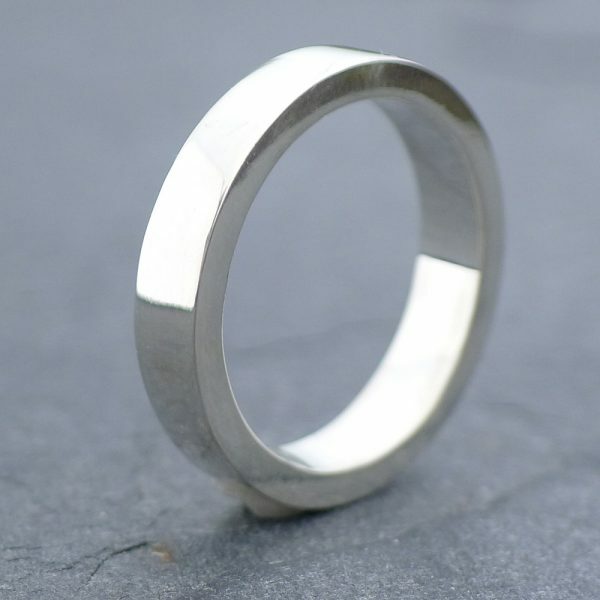 An elegant handmade platinum wedding ring featuring a slim 1.5mm square profile. 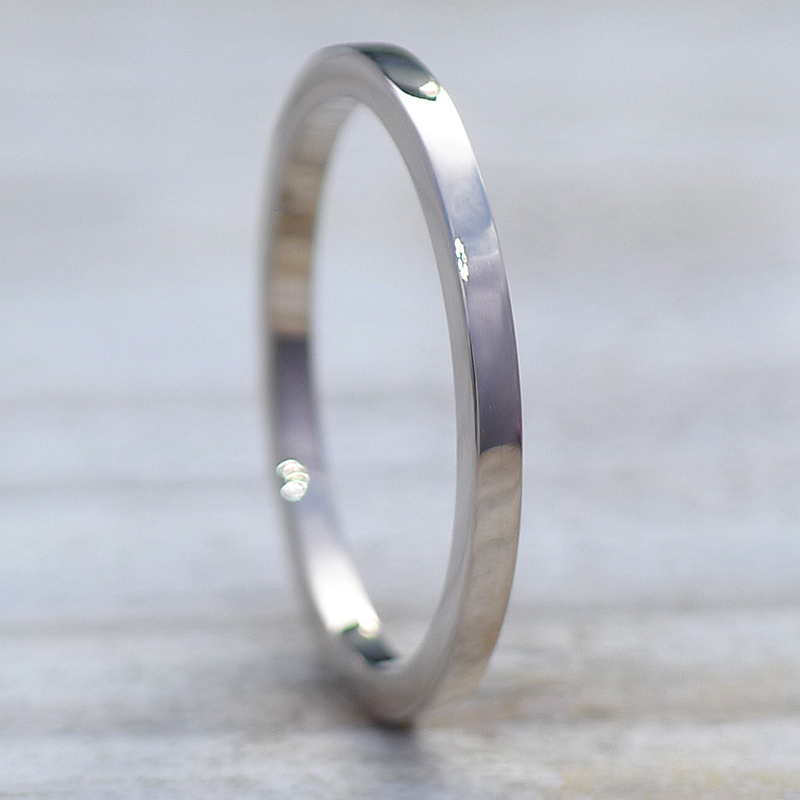 These platinum rings are made to order using ethical recycled 950 platinum that’s hand shaped into a seamless wedding band. 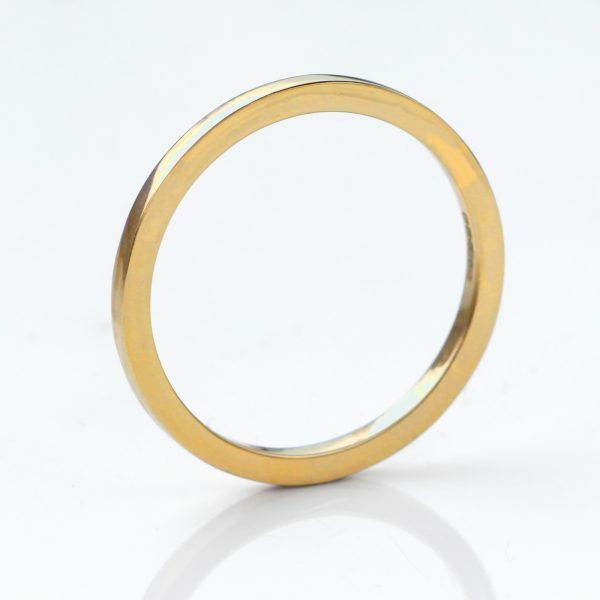 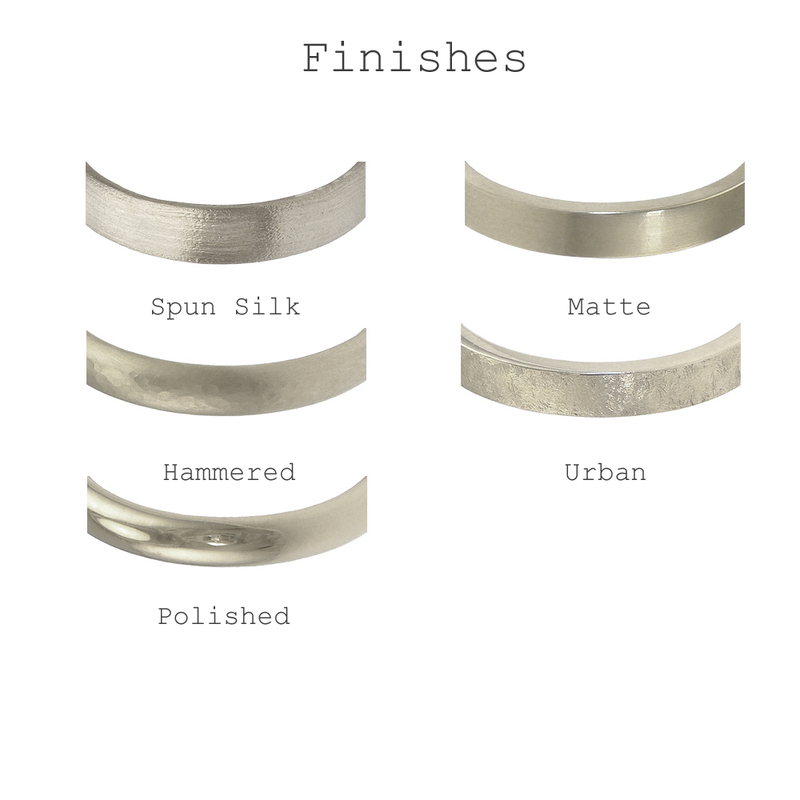 Choose between 5 different finishes, with UK ring sizes G – Z 1/2 as standard. 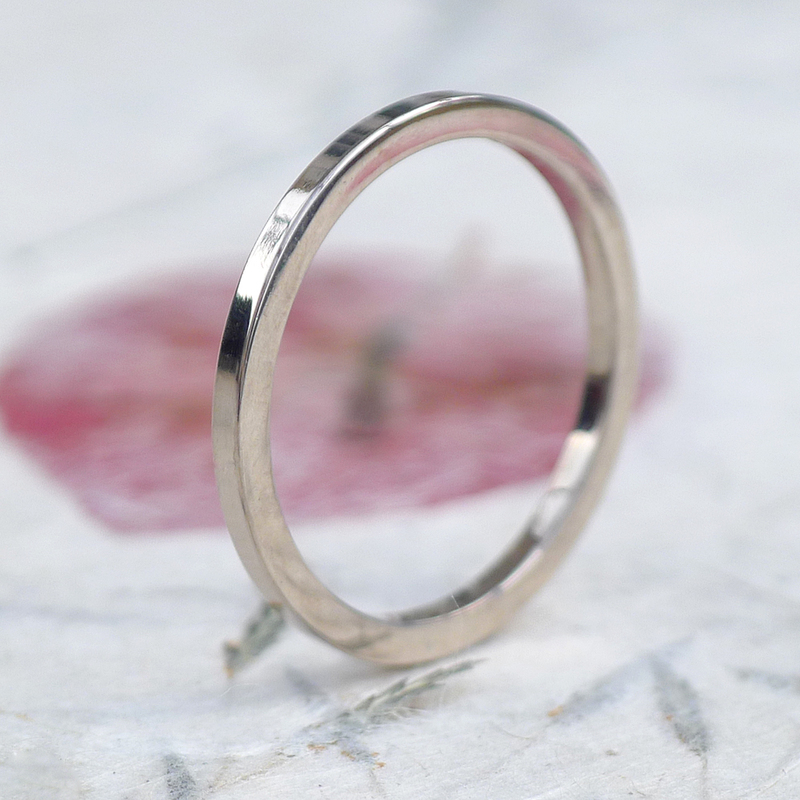 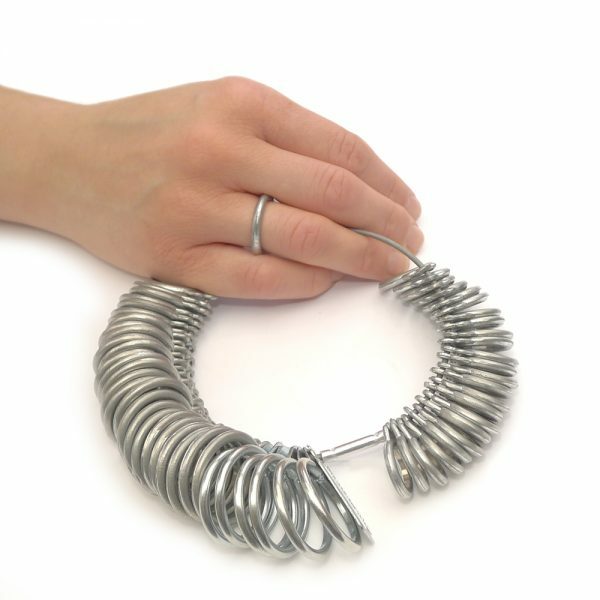 Need a US, EU or other ring size? 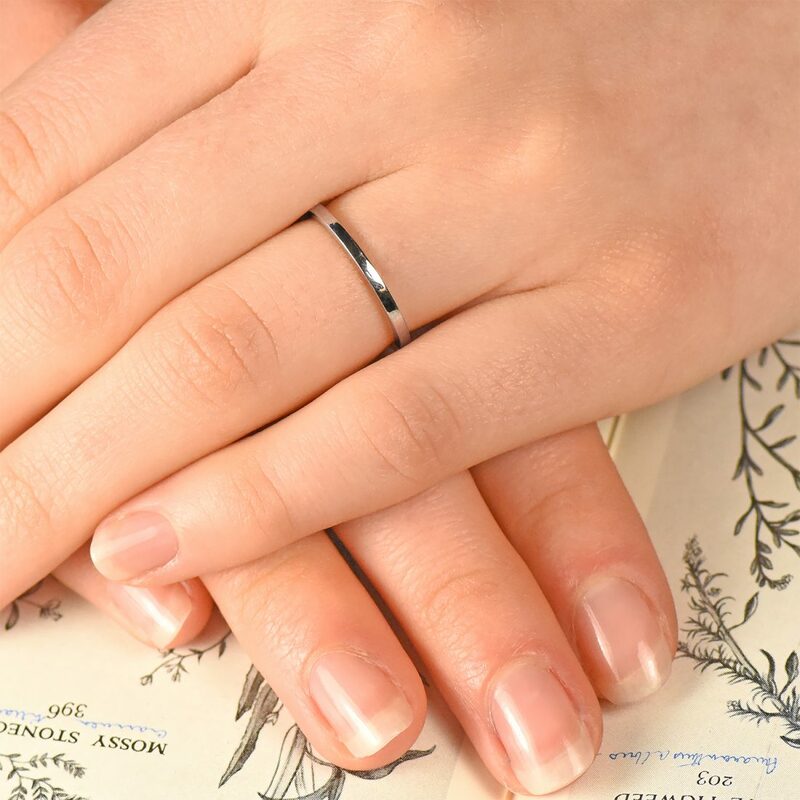 Contact us with more information. 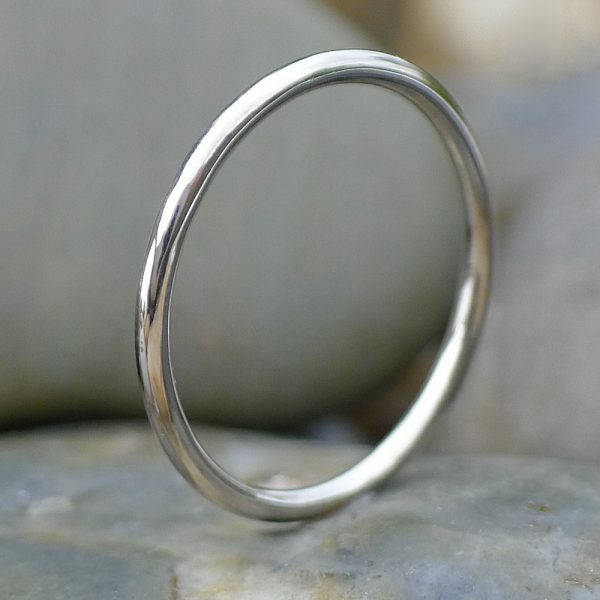 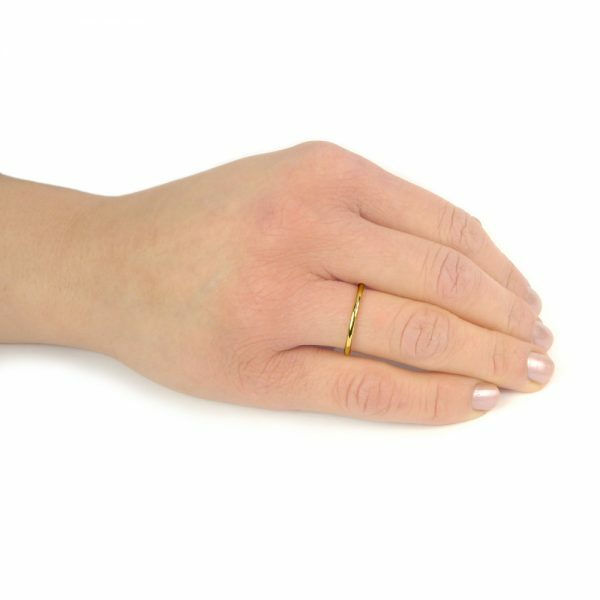 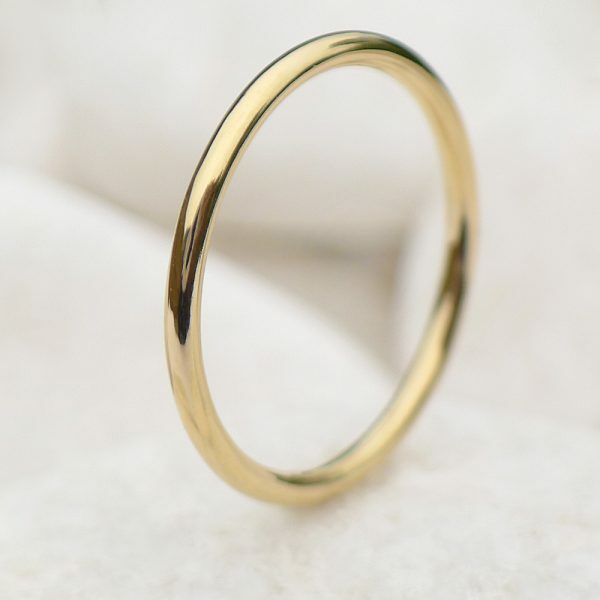 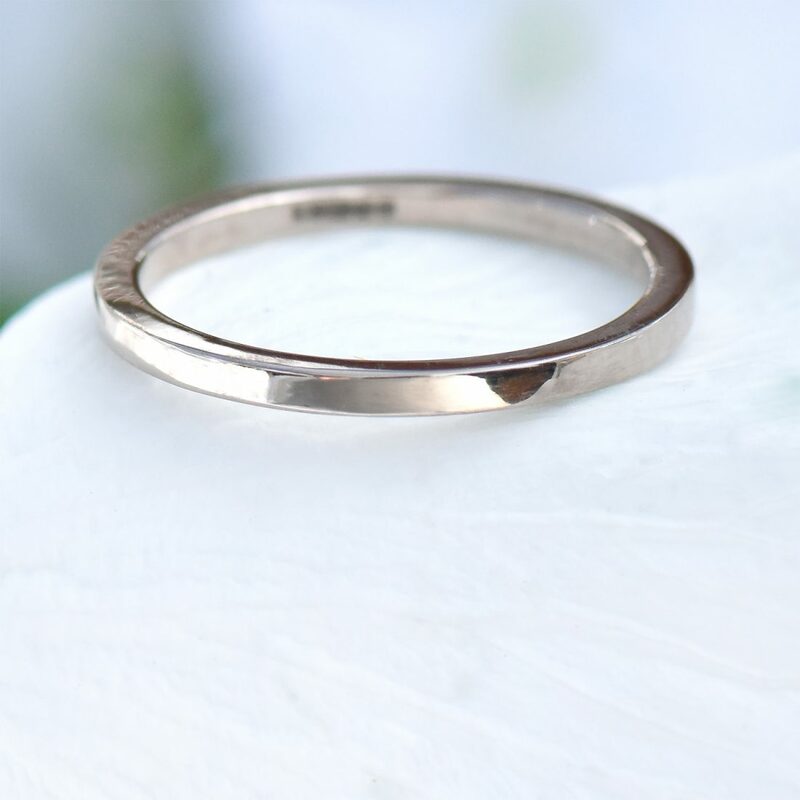 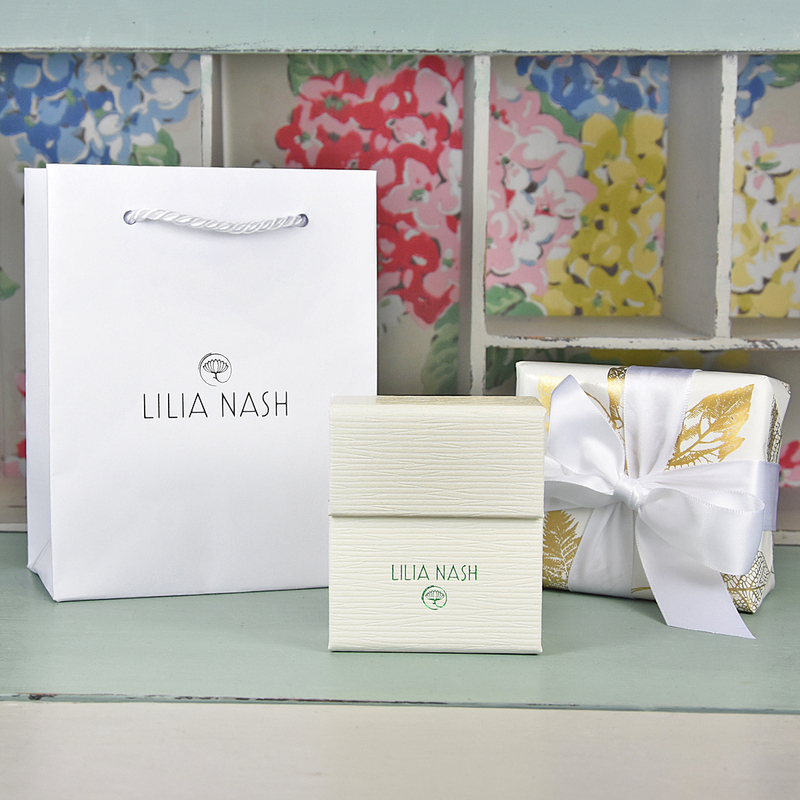 Please allow 6-8 weeks from the date of your order for your hallmarked ring to be dispatched. 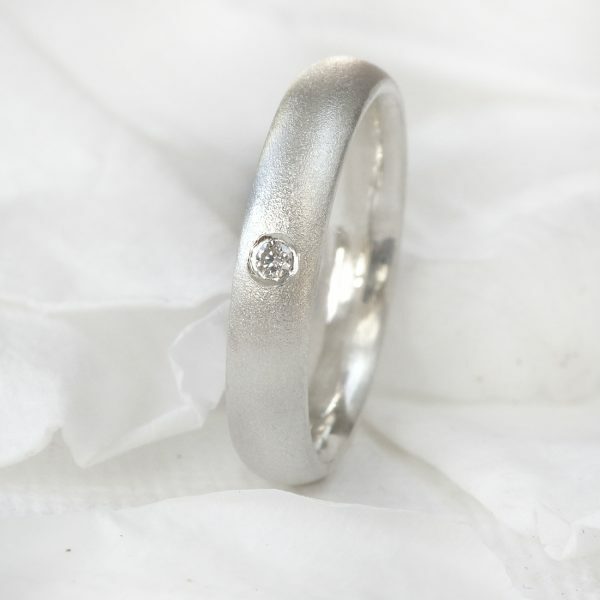 Currently available in 18ct white gold in size K. All other sizes and metals are handmade to order in 6-8 weeks.